Also this year we would like to wish you happy new year in a simple, but concrete way: Best Wishes with A.I.R.C.! A.I.R.C. 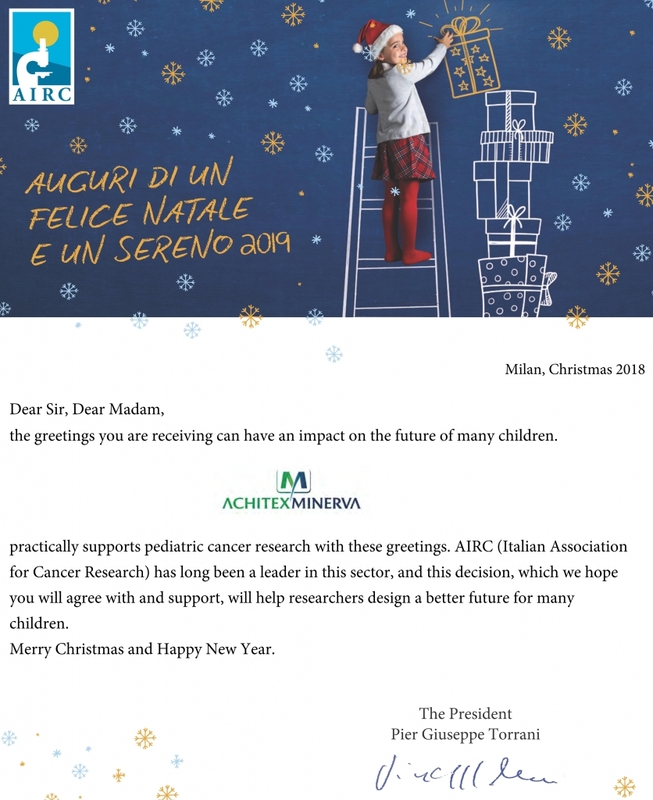 is at the forefront of research on pediatric tumors, Achitex Minerva supports researchers to design a better future for many children.